Sam Motors was created with a vision and conviction that "the only limit to our realization of tomorrow are our doubts of today", the rest as they say is history. Sam Motors has emerged as Thailand's fastest growing company thanks to Sam's vision and his untiring devotion to his customers' success. Sam is one of the pioneers of Thailand auto exporting industry. Sam Motors is Thailand's premier wholesale importer and exporter of Thailand assembled quality Japanese and American 4x2 and 4x4 pickups and SUVs as Toyota Hilux Vigo, Mitsubishi L200 Triton and Nissan Navara. We are Thailand's best exporter of Thailand vehicles to Asia, Europe, Africa, Pacific and the Americas. Sam is an auto exporting powerhouse as it not only provides new and used Right Hand Drive and Left Hand Drive Thailand assembled best quality 4x4 pickups and 4x4 Sports Utility Vehicles (SUVs) but also quality used and pre-owned vehicles from Japan and Singapore. Sam is a family owned and family operated dealership with an unrivalled reputation for delivering value, friendly personal service and customer support. We offer a wide selection of brand new and late model used vehicles. Our family members and staff are always ready to provide courteous, pressure-free assistance in selecting the vehicle that best suits your needs and budget. We feature a large selection of Thailand assembled Japanese and American quality pre-owned 4x4 trucks, SUVs, mini-vans, and more! Purchasing a new vehicle can be exciting, but did you know that there are many benefits to buying pre-owned vehicles? Price is the biggest benefit; the price of a used car is quite lower than the latest model, even if the vehicle is still fairly new. Thanks to depreciation, many people are able to purchase a pre-owned vehicle that has better performance, safety and luxury upgrades than if they purchased the same car new. Advantage Sam is that you can buy any used vehicle without worrying about its quality because all Sam pre-owned vehicles are guaranteed to be accident-free and defect-free. Sam Certified Vehicles are certified to be in great working conditions. Our certification checklist covers major systems--brakes, steering, suspension, transmission, electrical system, air conditioning, and heating system but we don't ignore minor things either. Our vehicles are handpicked and safety checked, they have low mileage. Our customers love quality pre-owned vehicles they acquire from us. We have best selection of quality pre-owned cars and trucks -- each having received a rigorous 60 point mechanical inspection designed to meet ours and your exacting standards and ensure your safety and satisfaction. Combine peace of mind with good financial sense and you have outstanding value in a no pressure, trustworthy environment. If you are looking for best priced best quality spare parts and accessories. We offer full range of 4x4 pickup and 4x4 suv accessories. Whether your fancy is hardtops, canopies, bedliners, front-bars and A-bars, bonnet guards, Side Bars, Side Steps and Running Boards to leathing seating to seat covers are just some of our popular accessories. We have a wide range of soft-tops, hardtops and pick up canopies. Our quality pickup bedliners are tough and yet flexibe enough to take knocks and blows and keep going. protect your pickup's bed. Our Front Bars and A Bars are stylish that not only protect your vehicle's front in case of a collision, they add a touch of elegance. Bonnet Guards not only protect your valuable 4x4 from stone chips on the leading edge of the bonnet, they also make it look good. Side Bars, Side Steps and Running Boards not only allow you to step in and out of the vehicle more easily they also protect your 4x4 from parking damage. If you use your 4x4 SUV or Pick Up off road or for work, then you need good seat covers to protect your valuable seating. Seat Covers and floor mats are relatively cheap 4x4 accessories which increase the re-sale value of your vehicle. If you are an off-road fanatic then we have all the accessories and resources to make your offroading more comfortable. We of course have Safari Snorkels and winches but we also carry what others can only imagine. Sam provides four-wheel drive enthusiasts with equipment they need to combat extreme off-road terrain. At Sam we ourselves are off-road enthusiasts and providing the right tool to fellow off-roaders is not just business but passion. We also carry whole range of performance parts to boost the performance of your Toyota Hilux Vigo or any other pickup of your choice. Whether you ar elooking for suspension parts, suspension lift kits, or Shocks & Steering Components, Sam is your one sbest shop for all parts, performance parts, racing parts and accessories shopping for Toyota Hilux Vigo, Toyota Fortuner, Mitsubishi L200 Triton, Mitsubishi Pajero Sport, Nissan Navara, Isuzu Dmax, Isuzu MU-7, Mazda BT-50, Ford Ranger and Chevy Colorado among others. Shocks & Steering Components Shocks, Shock Boots, Steering Stabilers & Hydraulic Components. If you are in the market for quality rims and wheels, Sam is Asian Rim Capital. You can find best rims in all best sizes from all over Asia for your automotive needs. We are perhaps world's first local dealer where you get the convenience and trust of a local dealer and resources and price flexibility of a global dealer. Since Thailand is a Right Hand Drive country, we have been shipping to Right Hand Drive countries of the world for quite some time and have shipped to almost every RHD country of the world but we are no slouch when it comes to Left Hand Drive vehicles either. We have provided factory original zero meter LHD vehicles to the Americas, Asia and Africa. 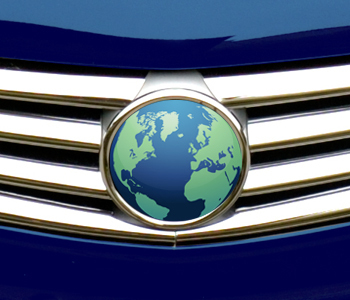 Whether you are in the Caribbean, South America, North Pacific, South Pacific, South East Asia, South West Asia, Central Asia, the Middle East, Northern Africa, Western Africa, Eastern Africa, Central Africa, Southern Africa, Western Europe, Southern Europe, Eastern Europe or Balkans, Sam Motors can provide what you need when you need it at the lowest price in town. We encourage buyers from any parts of the world be they corporations, dealerships, governments, militaries, project companies, brokers, armouring companies or individual enthusiasts our doors are open to you. 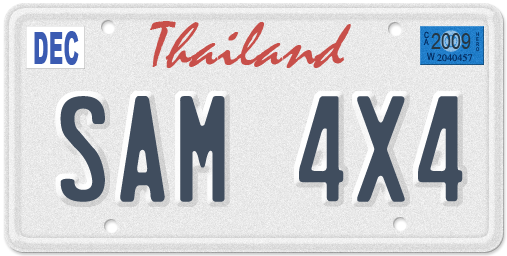 Email us now at thai4x4@gmail.com for the 4x4 of your dream. Most vendors will make you choose from price, speed of delivery, quality and customer service. With us, you don't have to pick two out of three or two out of four, you get all four. You get rock bottom prices, rocket fast delivery, best notch quality and superior customer service. 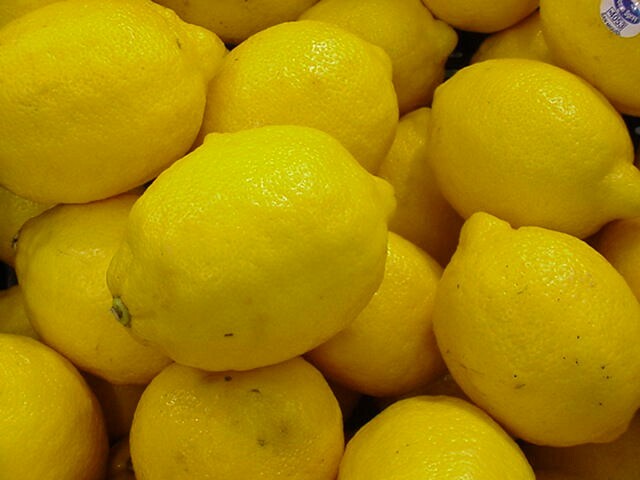 In addition, we fulfil our customers requirements accurately. Our commitment to quality and competitive & no hassle-pricing combined with unsurpassed auto service, guarantee a plain, simple and easy used car purchasing experience. We are quick and efficient. Your vehicle is shipment ready in three to five working days. Others may talk about getting your 4x4 Toyota Hilux Vigo, 4x4 Toyota Fortuner SUV, 4x4 Mitsubishi L200 Triton and 4x4 Nissan Navara to you quickly and efficiently. We actually do it consistently month after month day after day. You get what you want when you want it and as you want it. Have you ever had the experience where you ordered an apple and received an orange or you ordered a Red Delicious Apple and the vendor sent you Macintosh Apple? With us you get what you want and what you order. When it comes to used cars one simple fact is that Sam wholesales quality used vehicles to other dealers in Thailand. If you are in the market for best quality Toyota Hilux Tiger or Toyota Hilux Vigo or any other best quality used pickup or SUV you have reached the source of supply and no one but no one can provide our quality vehicle at our prices. Sam Motors has been exporting cars and 4x4 for quite sometime now but our goal has remained unchanged from day one. We want to provide our customers with highest quality vehicle at cheapest price and quickest delivery and to treat people like we would want to be treated. Since those early days we've grown quite a bit. but unlike most large dealer groups we haven't forgotten how important our customers are and it is our customers who have brought us where we are. Our customers are the most important part of our business and above all we want you to be happy that you chose Sam. Social responsibility is a broad subject that affects the Sam organisation at different levels. As far as Sam Group’s operations are concerned, it plays an important role. Each subsidiary is responsible for minimising the environmental impact of its operations. Where social responsibility overlaps with care for the internal community, Sam Group lives up to its responsibilities by creating a healthy, inspiring and challenging work environment, and by offering favourable compensation and benefits. When it comes to the external community, many Sam Group companies are actively involved in local community projects.